Private Formula Day Cream Moisturiser 113G is rated 4.7 out of 5 by 7. Rated 4 out of 5 by Bernadette926 from Good light moisturiser Have only started using this day cream and so far am loving it. Goes on well and doesn't appear to irritate my skin. I'm very happy so far particularly being so light to wear. It will be interesting to see how it is in the hot months as some moisturisers make my skin feel very greasy. Rated 5 out of 5 by Josie Krstevski from Gives amazing, instant results. 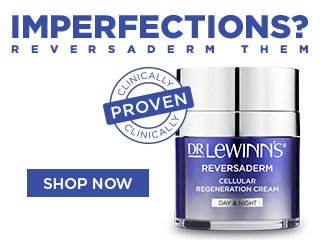 I have been using Dr Lewinns amazing products for many years now, infact l can't live without them! The Private Formula Day Moisturiser is one of my favourites. The moment l started using it, l saw instant results. My skin felt & looked visibly smoother & radiant. It keeps my skin looking youthful & l highly recommend this product, it's my magic potion in a jar! Rated 5 out of 5 by Jazz22 from It's wonderful! Have used this product for years. It leaves my skin feeling silky, smooth and glowing, goes on well under makeup and the smell is lovely.